With the arrival of the holiday season just around the corner, consumers are flocking to stores and surfing the web for the best deals. 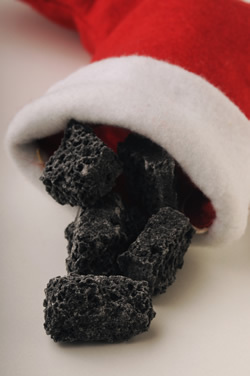 In light of this, Consumer Reports has compiled their first ever naughty and nice list. 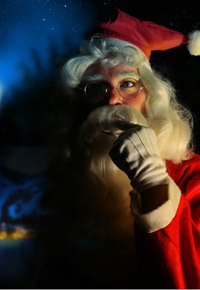 Based on research from their in house reporters and editors, the list looks at specific customer service policies that are “naughty or nice.” While Consumer Reports is quick to say that their list is based on specific policies and not on the overall opinion of the store, the list does a great job of highlighting some of the most unbelievable policies stores are imposing on customers. So what do all ten of the stores on the naughty list have in common? Well, each have a policy that is sure to cause aggravation to a majority of their customers. Six of these stores have return, refund, or restocking policies that are unreasonable. For example, Verizon Wireless and DirecTV impose high termination fees on their customers after a certain length of service (Verizon is now charging a $350 Early Termination Fee for Smartphone users). CompUSA imposes a restocking fee for certain items. Best Buy offers only a 14 day return period for computers, cameras, and camcorders. Though it should be noted that many businesses, including Walmart, have a similar policy. Some do choose to extend this return period during the holiday season. Buy.com refuses a return on any television set over 27″. Their refund criteria list also spans an entire page. CR’s list also notes that Buy.com does not display a customer service phone number anywhere on its website. However, it’s also important to note that other websites, once again including Walmart.com, lack such contact information. Spirit Airlines imposes a carry-on baggage fee of $30 in advance and $45 at the gate. United Airlines offers a low price guarantee, but neglects to inform many customers who purchase nonrefundable tickets that a $150 fee is added if the ticket needs to be changed. SanDisk makes the list for still using mail-in rebates rather than instant, while Dollar Car Rental makes the list for requiring renters to provide a receipt showing gas was purchased within 10 miles of the return location. Macy’s absurd method of determining shipping costs based on the purchase amount rather than the purchase weight/size lands them also on the list. While the list is slightly amusing to look at, what was Consumer Report’s motivation for creating it? It brings to light many of the policies that perplex and annoy customers every day. 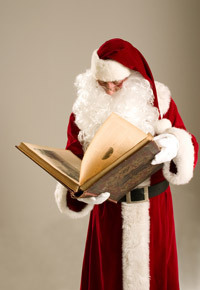 If you own your own business, what can you do to keep your name off of a “naughty” list? First off, don’t have any small or fine print. Customers want to know up front what type of administrative or cancellation fees they are responsible for. Also, create a reasonable return policy. Those on the “nice” list, including Costco and L.L. Beans, have open refund policies that extend months. Their main goal is 100% customer satisfaction and they have no problem broadcasting that. If you do have a very specific return policy, be clear on the length of times and the condition the item must be returned in. Consider printing the return policy on the back of the customer’s receipt. If an item is nonrefundable, have your cashier warn the customer of this before they purchase.Provide customer service contact information on the receipt and clearly on your website. Next, make things easier on the customer. In fact, this is what all ten of the stores on the nice list have in common. With current technology, there is little reason for a mail-in rebate. In fact, many customers are deterred by such rebates that take 6-8 weeks or more. Don’t impose unreasonable regulations on your valued customers. So what if they filled their tank 12 miles away? If it’s near the full mark, they’ve done their part. Your customers are busy. They don’t have time to scour the web looking for a customer service number. And they definitely don’t have time to wait in line for returns. When you are creating such policies for your store, ask yourself “If I were a customer, what types of fees or policies would bother me?” Remember that customer satisfaction in the number one key in customer retention.